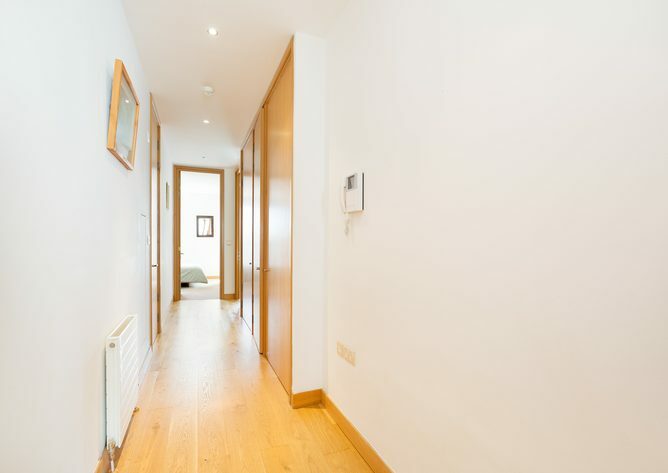 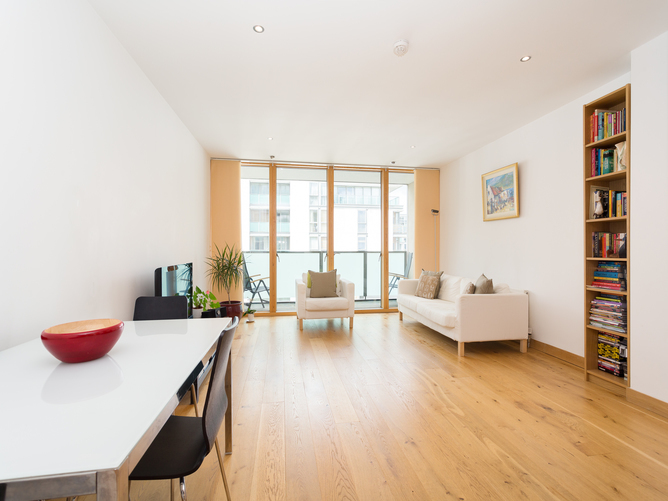 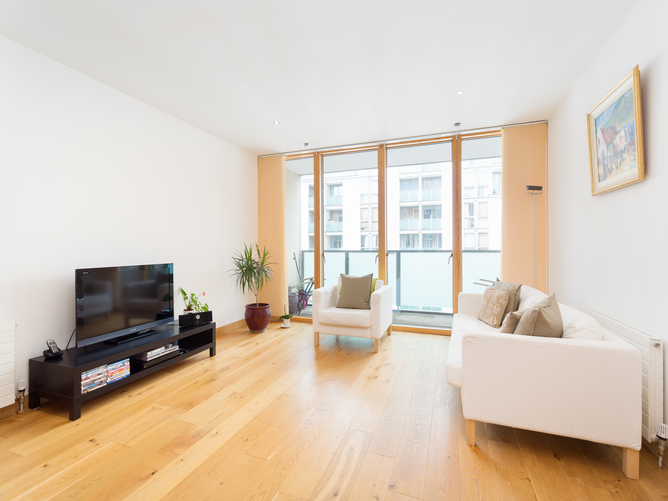 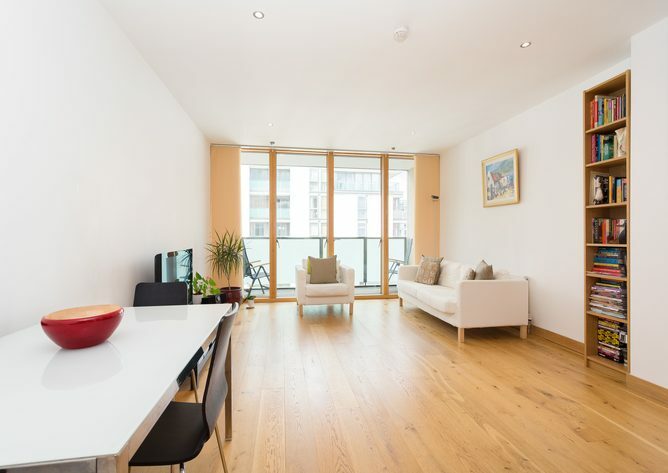 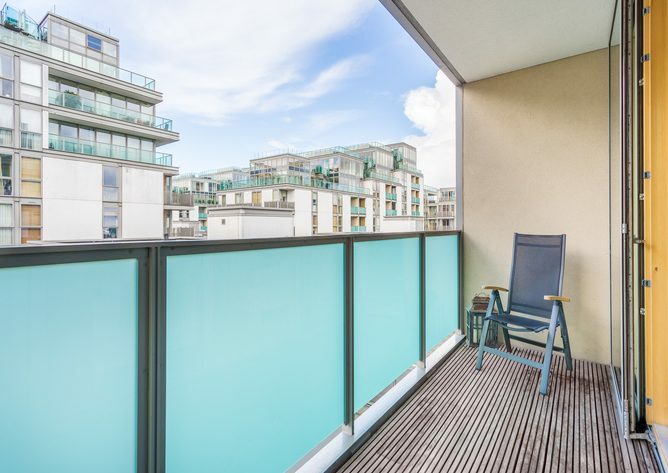 Owen Reilly presents this exceptionally bright and spacious, fifth floor, two bedroom, two bathroom apartment presented in turn-key condition with parking in this upmarket development. 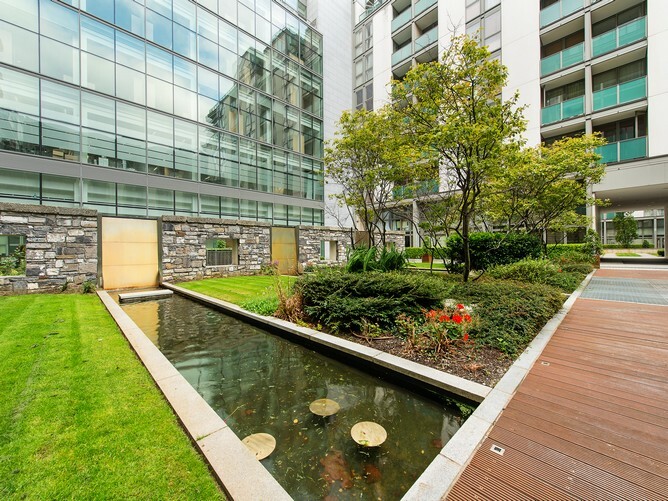 Spencer Dock development benefits from an on-site concierge service, beautifully landscaped gardens, energy efficient heating system and a LUAS stop. 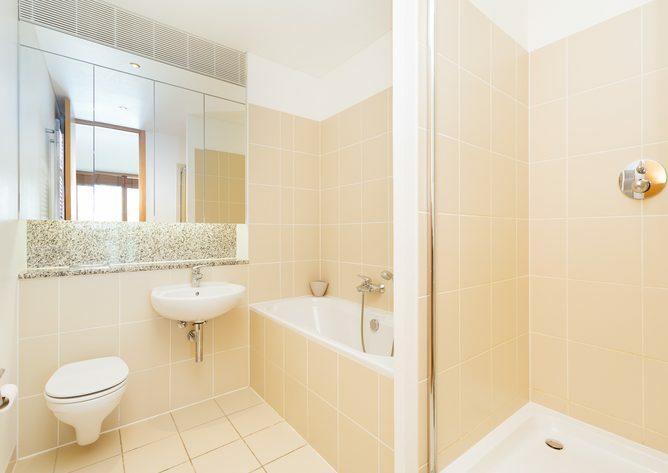 The property features a welcoming entrance hall, an open plan, west facing, living/dining room, contemporary kitchen, two generous double bedrooms, master en-suite with bathtub and shower cubicle, a main bathroom and a utility closet. 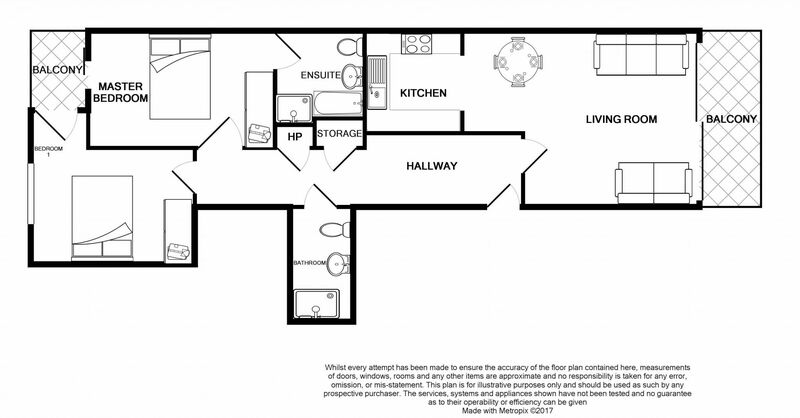 Must be viewed to be appreciated. 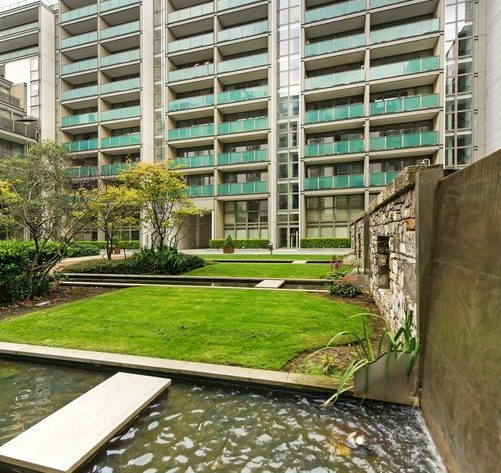 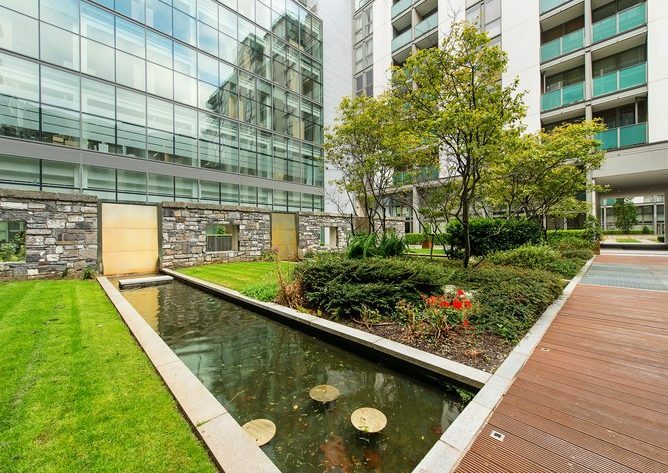 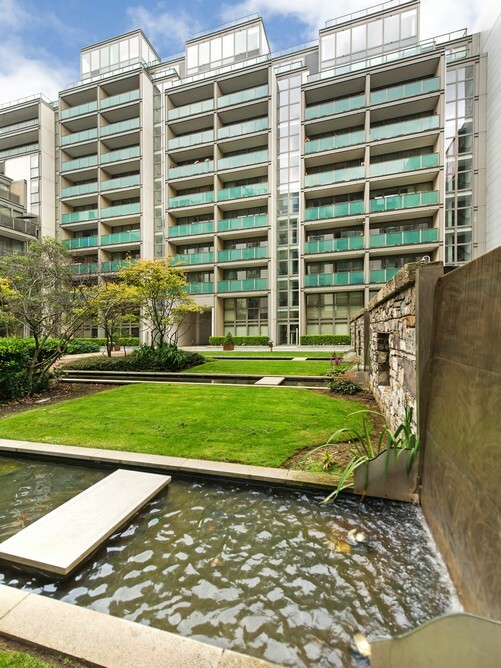 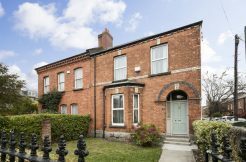 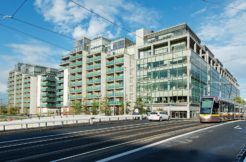 Located in the heart of Dublin Docklands and with its own Luas stop, this central location is one of Dublin’s most sought after addresses. 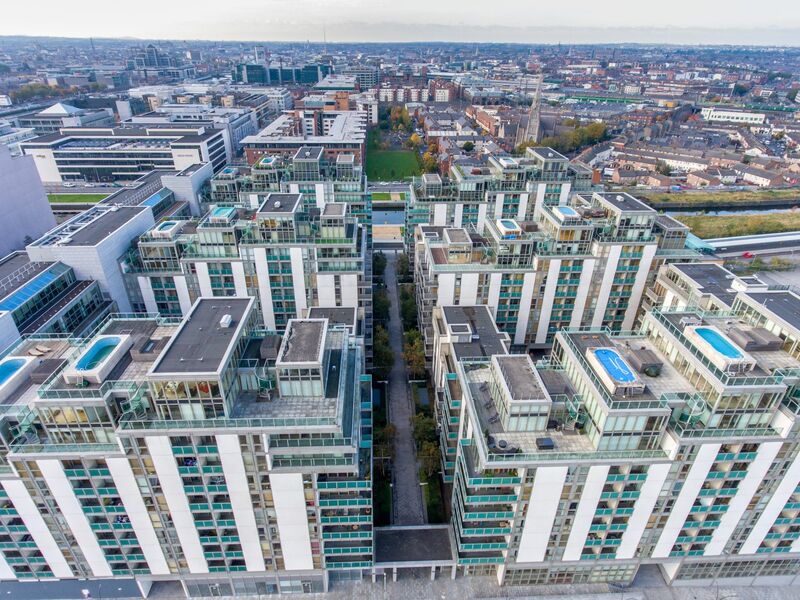 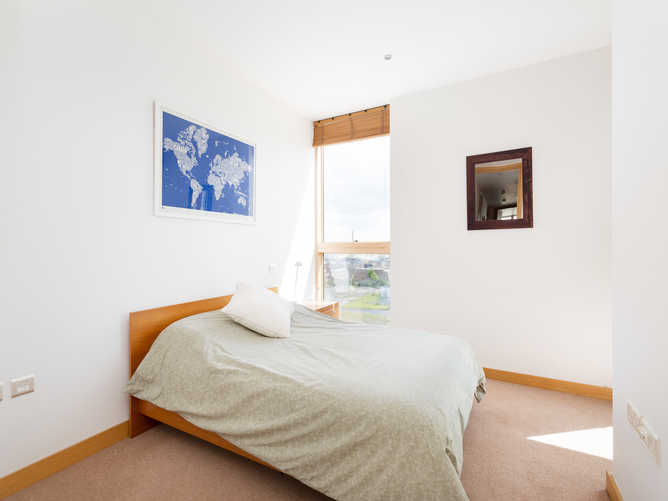 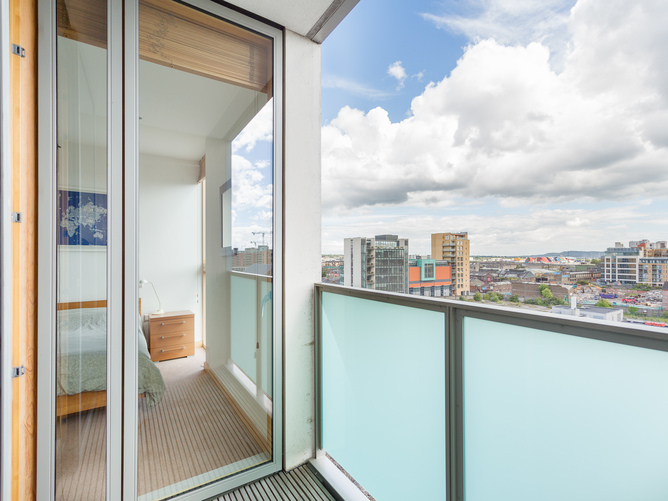 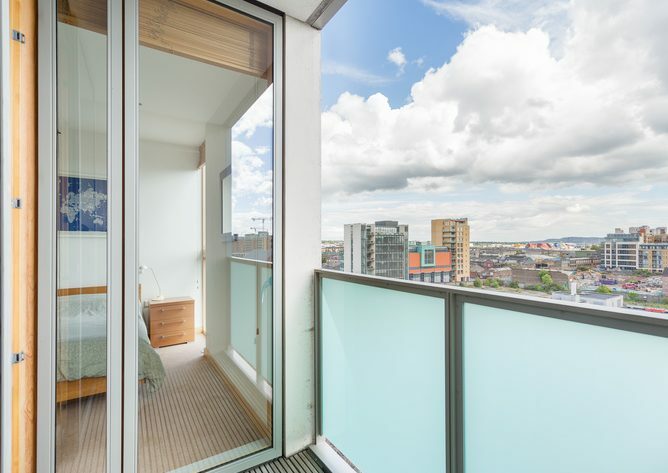 Convenient to a range of landmarks including the Dublin Convention Centre, IFSC, City Centre, Grand Canal Dock, and the Three Arena, as well as a variety of restaurants, bars, cafes, gyms and water sports centres dotted throughout the Docklands. 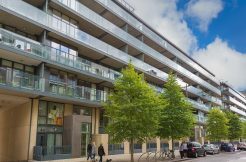 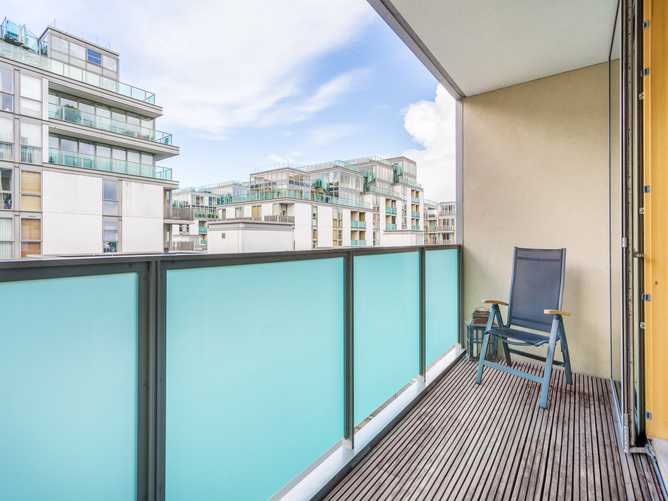 Spencer Dock is exceptionally well connected with several inter-city Train, Dart and LUAS stations all on your doorstep, and Dublin Port and the Port Tunnel with direct access to the airport just a few blocks away. Inviting entrance hallway with utility room and video intercom. 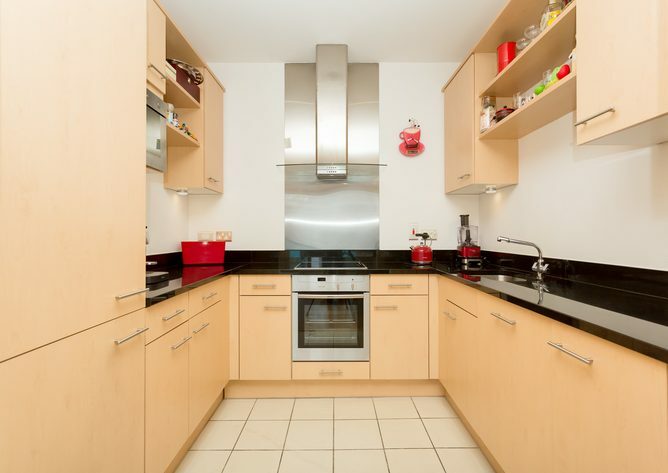 Washing machine & built in shelving. 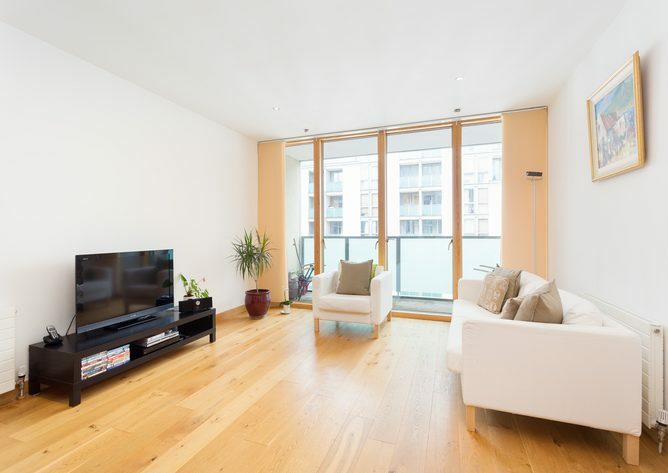 Bright open plan living/dining room access to a west facing terrace overlooking landscaped gardens. Fully equipped ALNO kitchen with integrated NEFF appliances and a tiled floor. 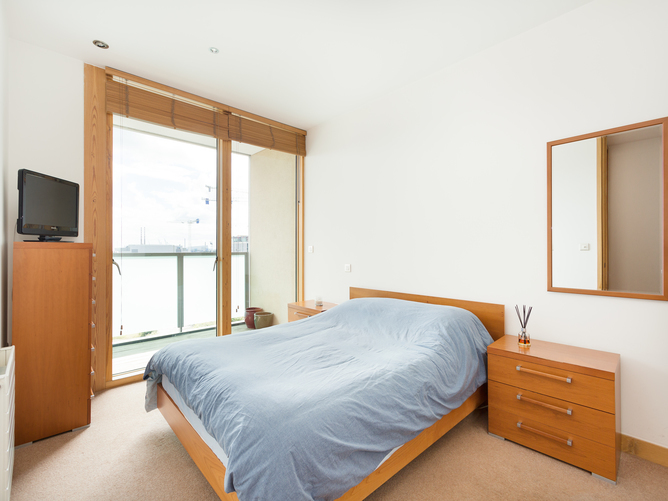 Bright double bedroom featuring built in wardrobes with access to the terrace. 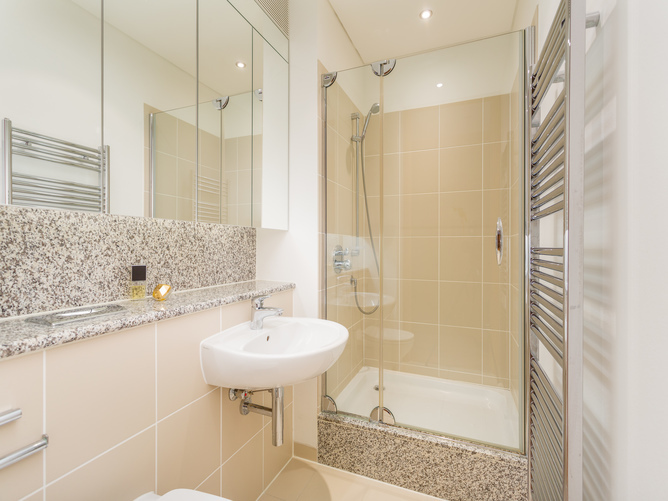 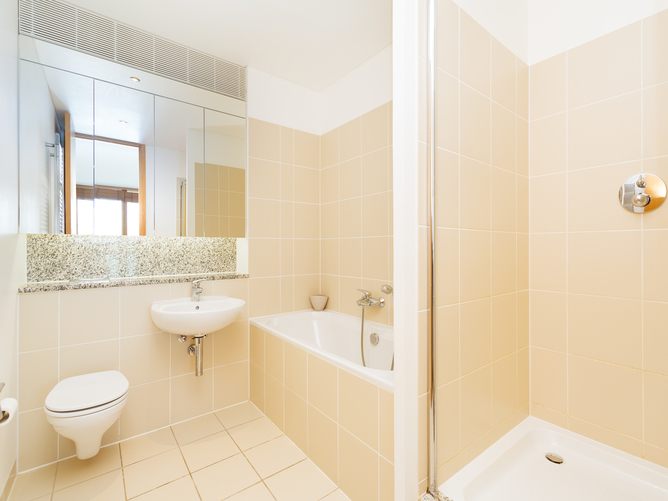 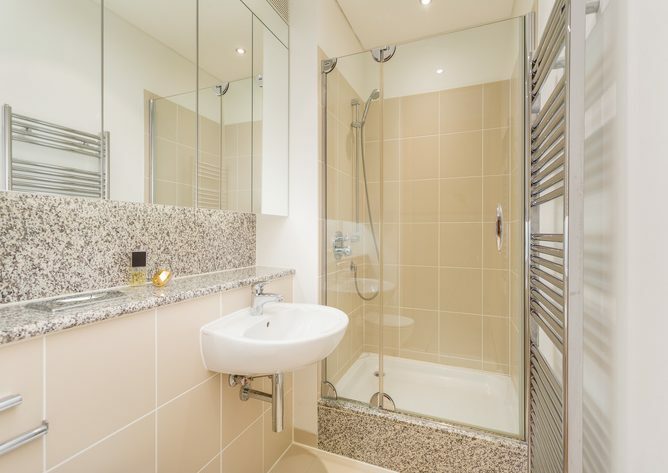 Stylish en-suite featuring a whb, wc, bathtub and shower cubicle and a fully tiled floor.